Last month, some school leaders at a principals’ meeting in Dubai had outlined issues that they were facing with the new subject. They cited time limitations and a need for specialised teacher training and methods of assessment. A few school leaders had also said they found some topics, like financial literacy, “dry” and difficult to teach. My idea, for example, would be to have a Moral Education conference for a day at my school and a carousel of activities. Students could learn interview techniques, presentation styles. However, teachers at The English College said simple measures can effectively address these issues — provided teachers take enough initiative and interest. Glenda Clark, head of ME at the school, said though there is a textbook for the new subject sent to schools, educators can teach the content innovatively. Her school teaches ME through multimedia shows, individual and group presentations, discussions and even art. The school has also set aside classrooms and assigned teachers for ME. In contrast, many schools are trying to teach the new subject alongside other subjects, or in 20 minutes of tutor time three times a week to fulfil the required 60 minutes. “Some people say the content is ‘stuffy and boring’. Well, you can present it as being stuffy and boring, or you can go at it with enthusiasm and you can add extra resources to it and make it as fun as it can be,” said Clark. We’re not telling students what you should and shouldn’t do, but we’re just giving them a little more information and context based on things they wouldn’t usually consider. Farah Khan, who teaches ME at the school and is head of social studies, said simply reading from the textbook is not enough. “If you’re just doing that, then of course it’s going to be dull. We look at the textbook to see what the concept or topic is, and then we put our spin on it. So for every lesson we would like our students to do a group activity or watch a YouTube clip and discuss it, for example,” said Khan. Charlotte Bagnall, who also teaches ME and social studies at the school, said even the homework for the new subject should be unconventional, such as discussing a topic with their parents. “Being an international school, students are from different backgrounds and they are quite engaged when they come into school the next day. They say, ‘Miss, I spoke to my parents about this topic in ME’,” said Bagnall. One assignment was to discuss the work of a Non Governmental Organisation (NGO) in the UAE with parents, one of whom decided to contribute funds towards the organisation. Homework has also been to do an “act of kindness” and document or record the experience, describing what it means to help someone, said Clark. Students are also taught to consider other aspects — moral aspects — of what would otherwise be a purely maths or economics assignment, such as investing in a cigarette company; the idea of accepting expensive gifts from a company bidding for a contract; or the budget for spending on new clothes for a night out. “We’re not telling students what you should and shouldn’t do, but we’re just giving them a little more information and context based on things they wouldn’t usually consider,” said Khan. Being an international school, students are from different backgrounds and are quite engaged when they come into school. They say, ‘Miss, I spoke to my parents about this topic in ME’. Bagnall added that ME was “making students more self-aware”. She recalled an incident where a student realised, because of ME, that he should take responsibility for his behaviour. “He wasn’t as argumentative and it made him think about his actions. It was useful as he was able to make that connection,” said Bagnall. The UAE will introduce a Moral Education Standardised Assessment (MESA) this year, it was revealed on Wednesday. MESA aims to assess the overall impact of the curriculum’s effectiveness. Following a successful pilot in early 2018, MESA will be implemented as a trial in around 70 schools in the UAE, involving 10,000 students from Grades three, five, seven and nine. The development makes the UAE the first country in the world to incorporate nationwide assessment within a moral education curriculum. 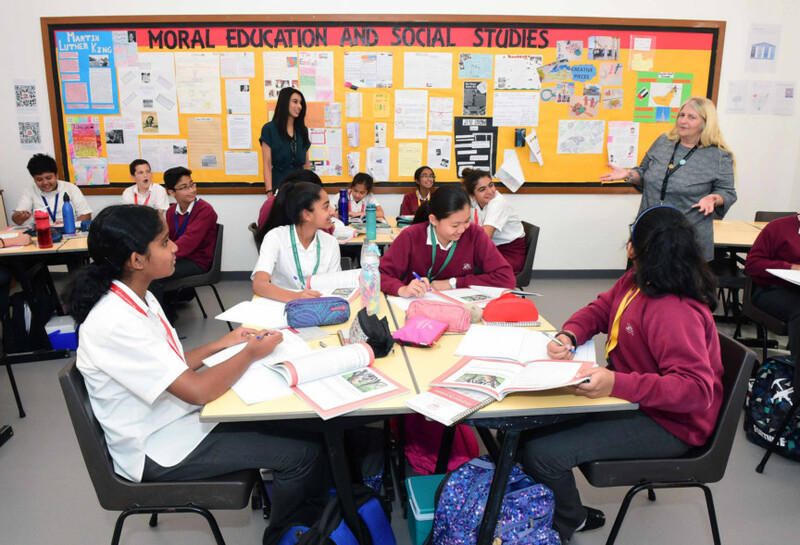 MESA will assess the impact of the Moral Education Programme in an independent and standardised manner that allows for comparability between schools and curriculums. It will be administered to students as a computer-based test that utilises a combination of questions on knowledge recall and “situational judgement” to assess the programme’s overall effectiveness in teaching moral lessons to students. 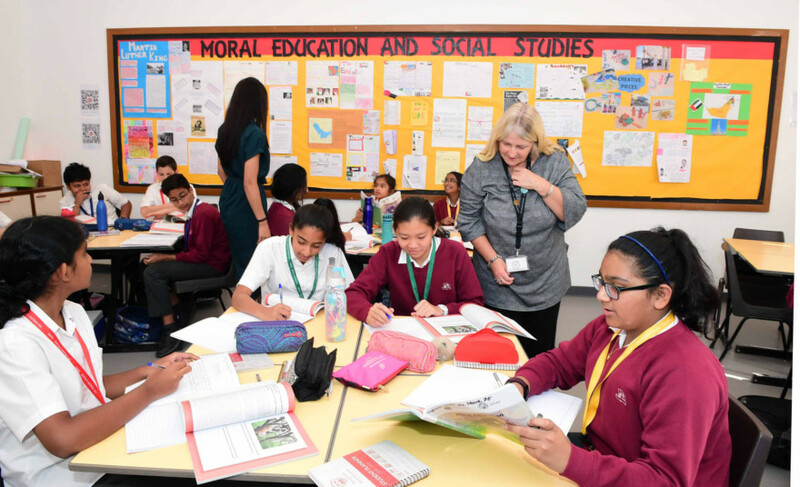 The UAE Moral Education Programme is an education initiative launched under the directive of His Highness Shaikh Mohammad Bin Zayed Al Nahyan, Crown Prince of Abu Dhabi and Deputy Supreme Commander of the UAE Armed Forces, to promote and instill universal values.